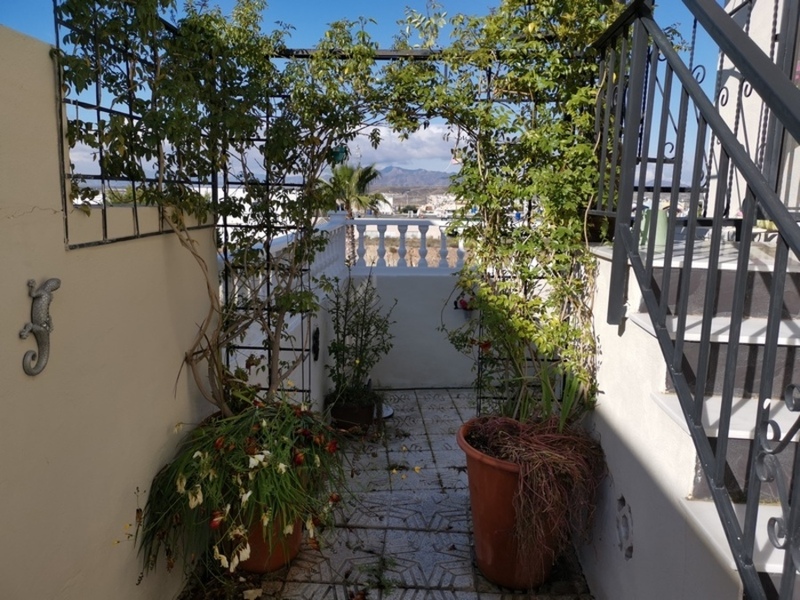 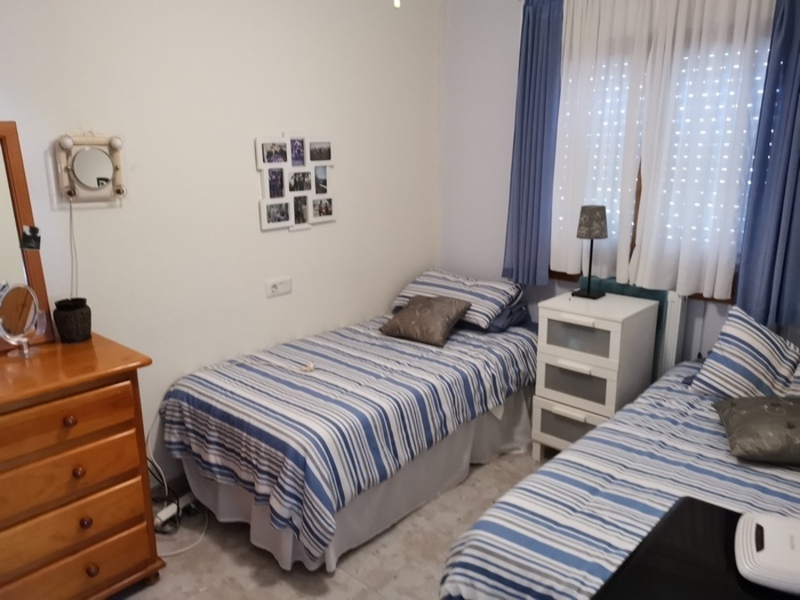 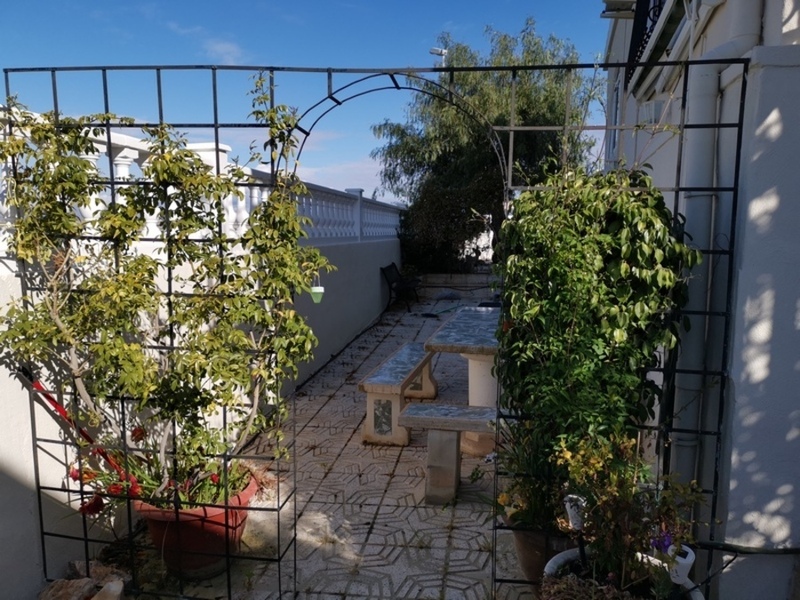 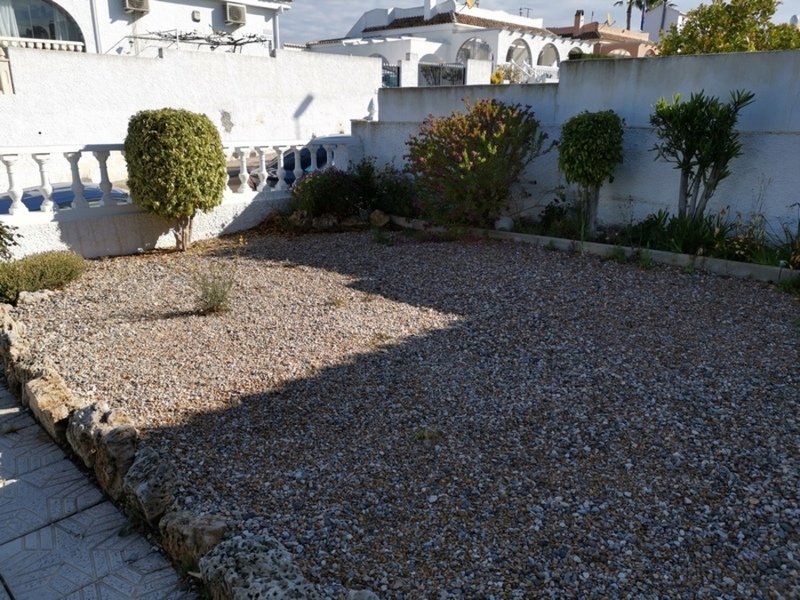 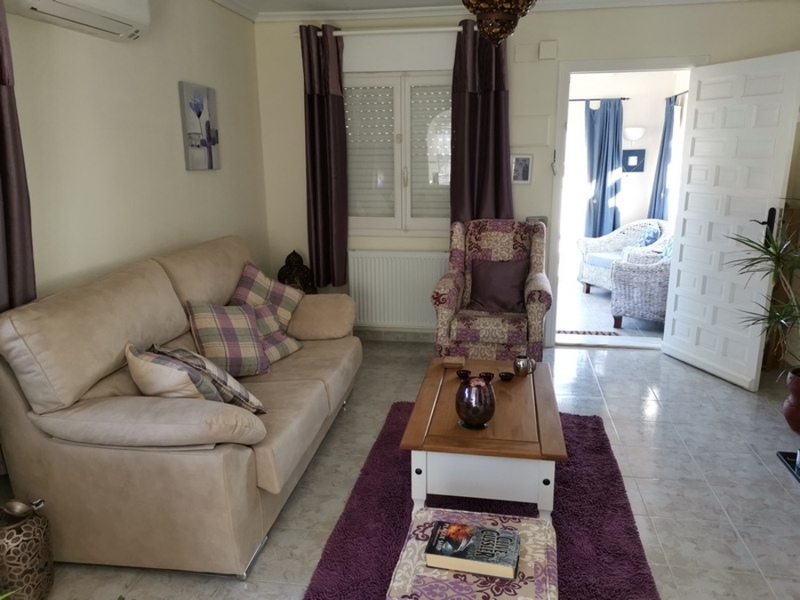 A fully furnished, central heated, 2 bedroom, 1 bathroom, clasico style terraced villa situated at camposol on the first part of sector close to the commercial sector. 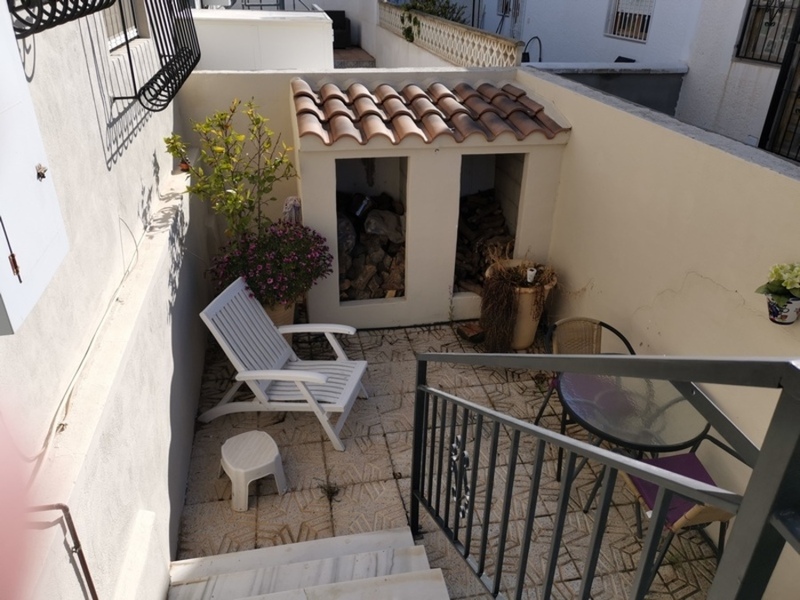 The property has air conditioning offering very comfortable living accommodation all year round. 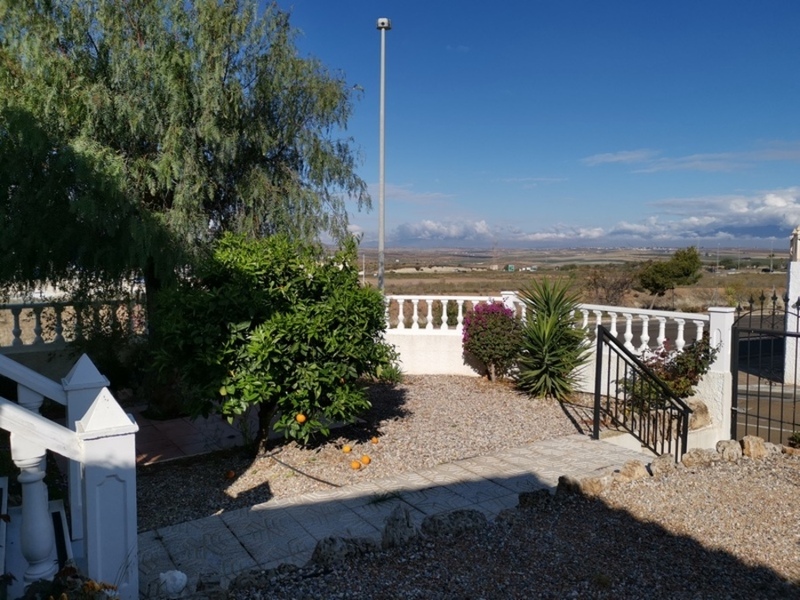 Entrance to the property is via steps to a fully glazed front terrace with views across the surrounding countryside. 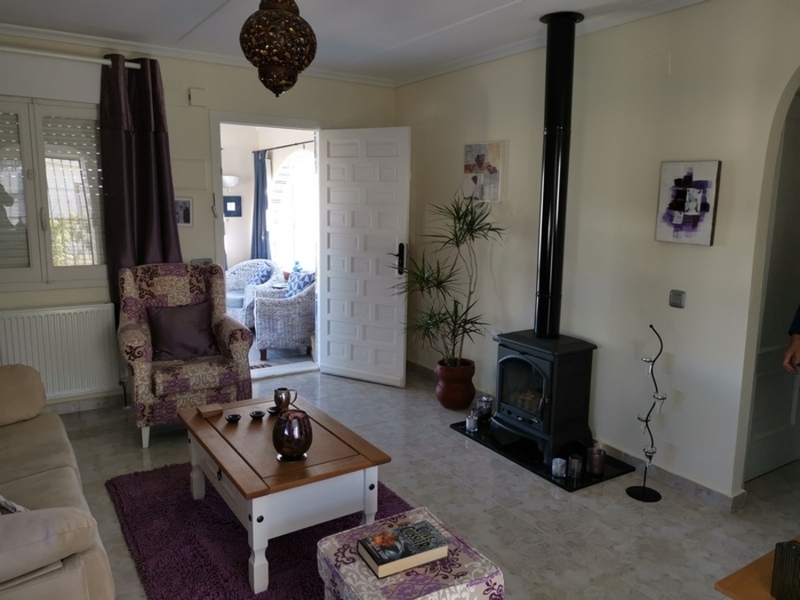 The main front door opens up in to the lounge/dining area which is open plan to the kitchen. 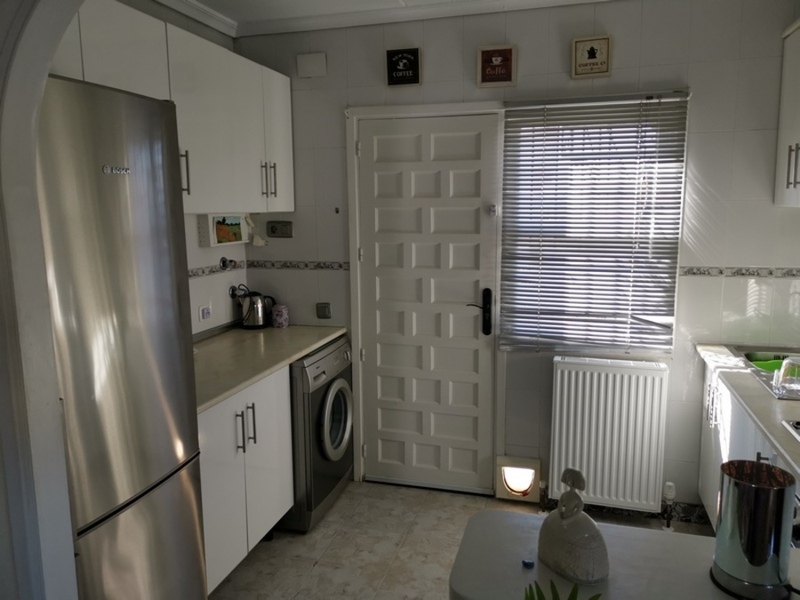 The fully fitted kitchen has white units and worktops, fridge freezer. 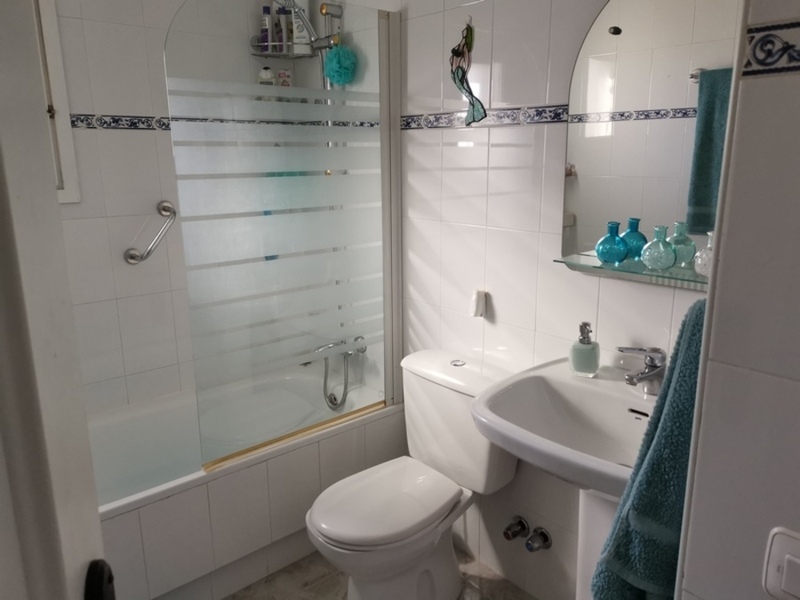 The two double bedrooms both have built in wardrobes and the bathroom has a full size bath with shower over, sink and toilet. 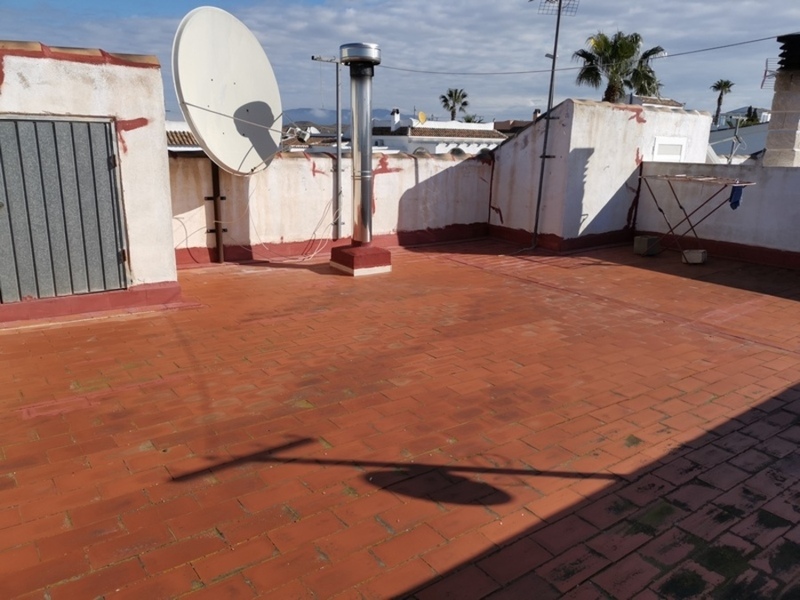 To the rear of the kitchen is a spacious terrace with stairs leading to a large roof solarium with two storage cupboards and a large satellite dish. 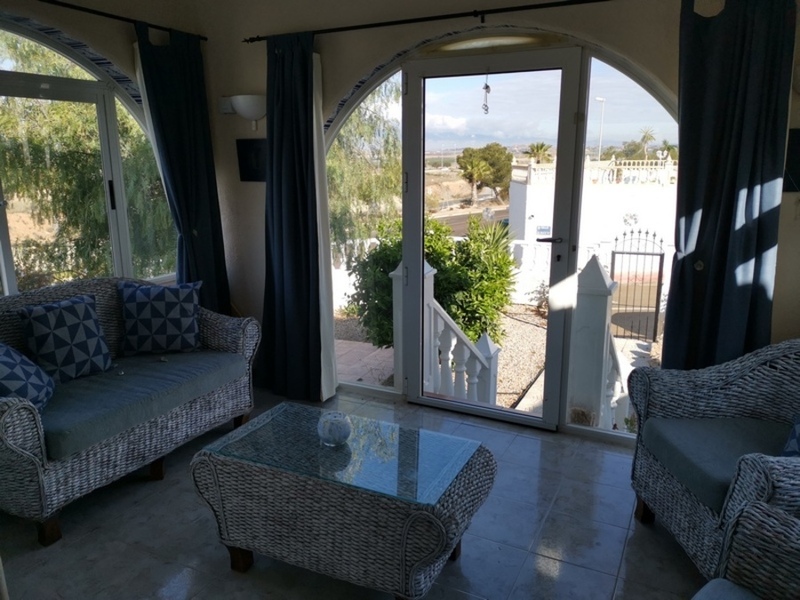 There are, ceiling fans and air conditioning in the villa. 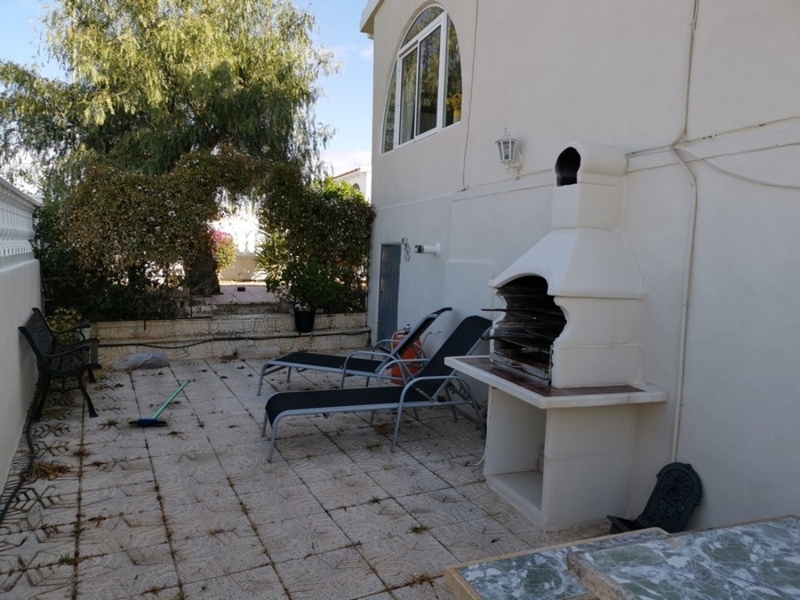 This property has many extras and, is well worth viewing. 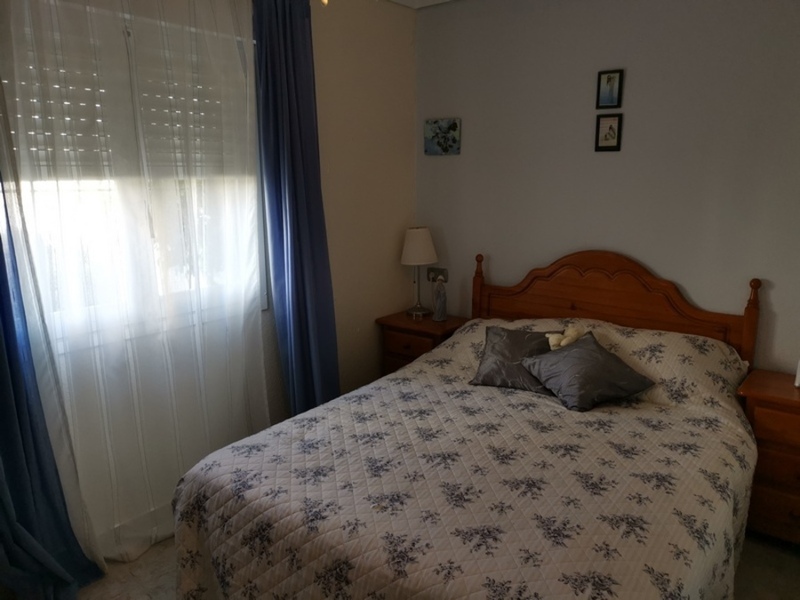 Camposol is only a 10 andndash;15 ten minutes drive away from the beaches of Puerto de Mazarrandoacute;n and Bolnuevo. 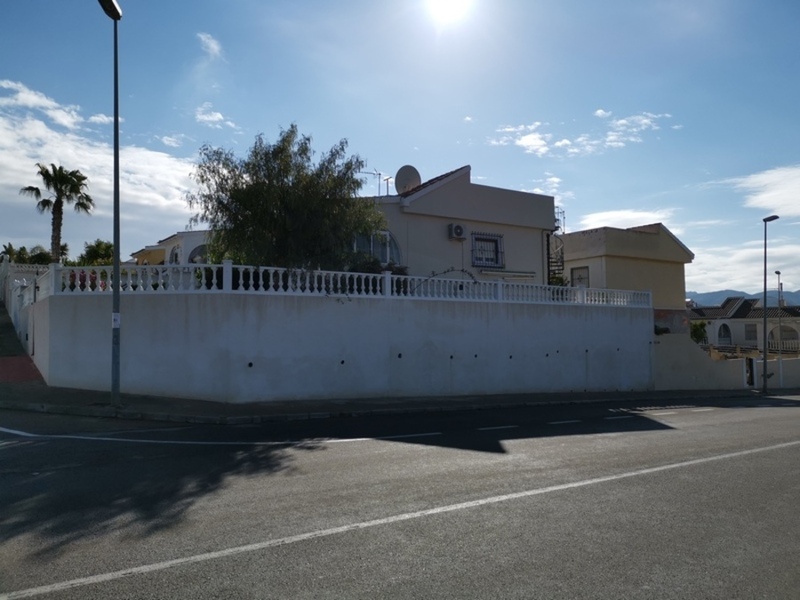 There are good primary and secondary schools in Mazarron, Puerto de Mazarron and Isla Plana. 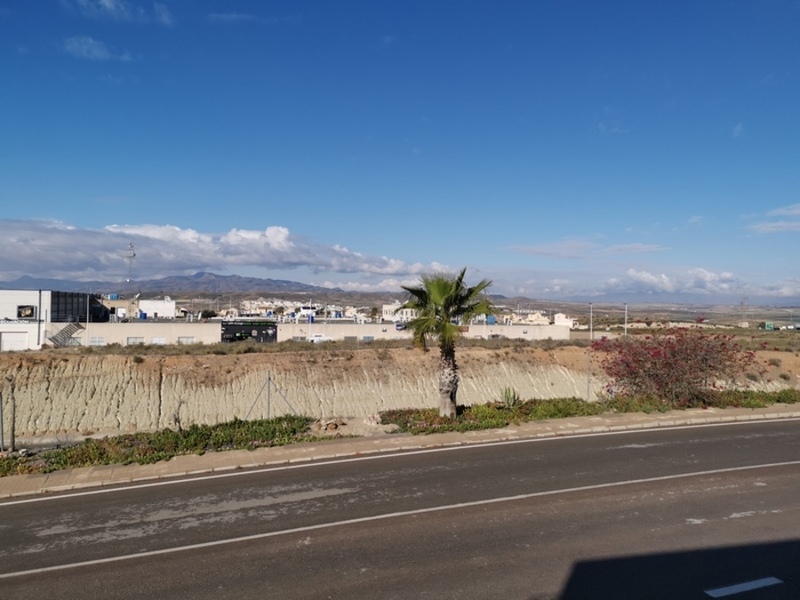 Murcia international airport (Corvera) is 25 minutes drive away and Alicante 1 hour and 10 minutes. 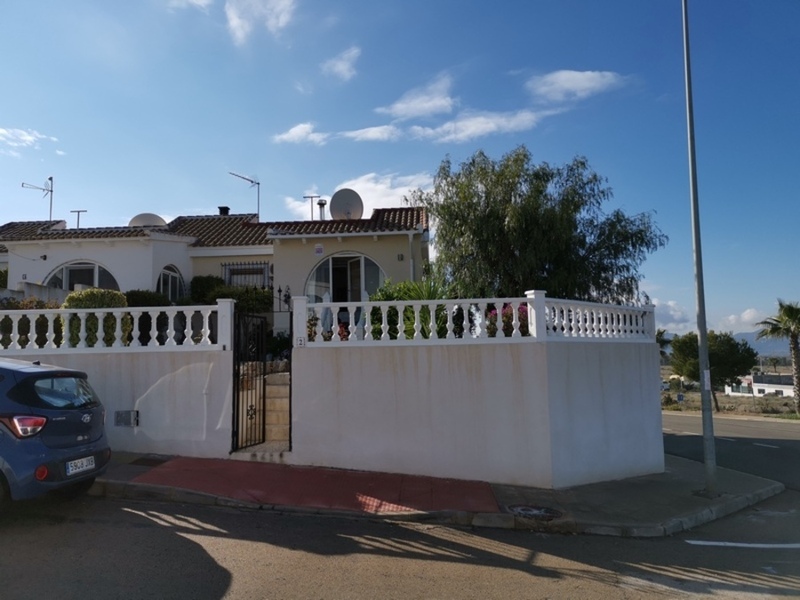 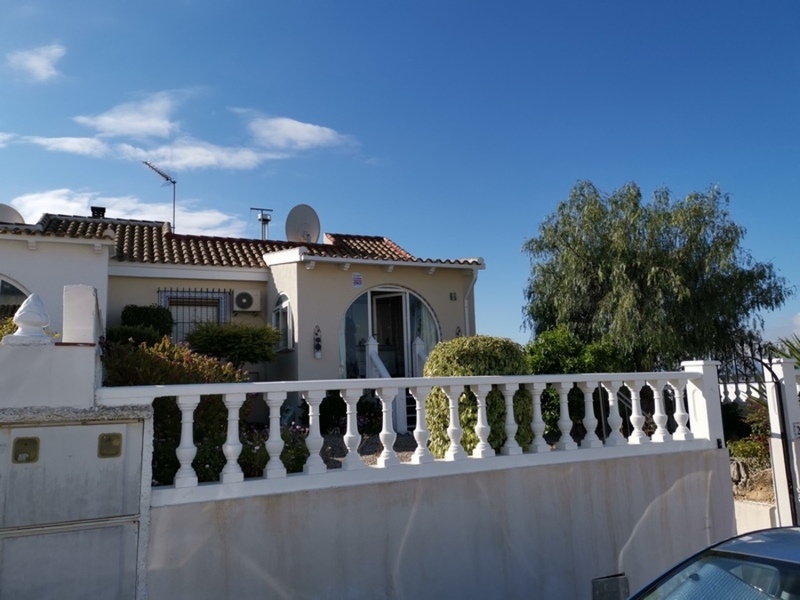 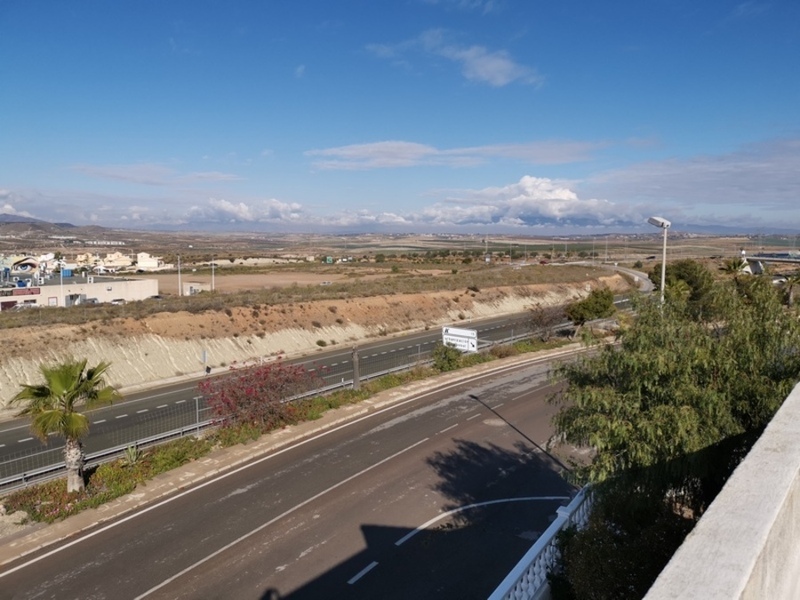 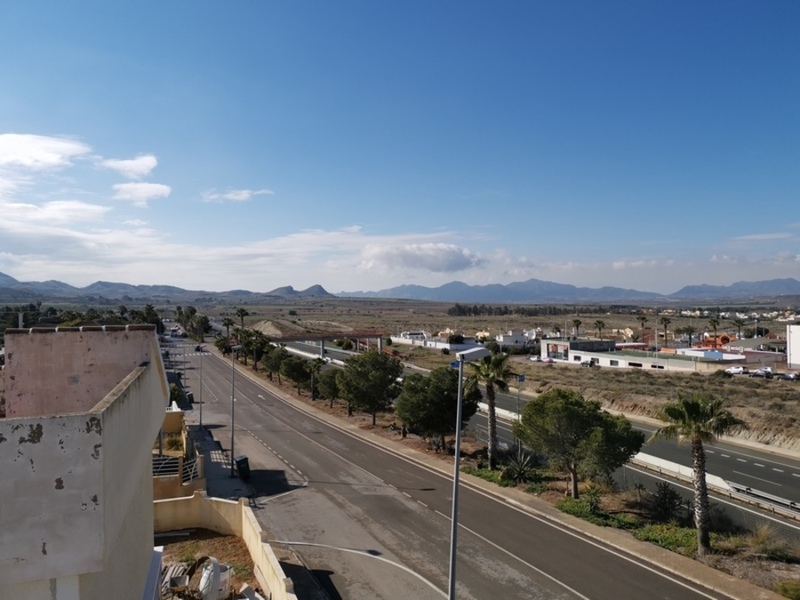 There are excellent motorway links serving Mazarron making it an ideal location to explore the areas of Murcia, Cartagena, Aguillas, Alicante, Benidorm etc.